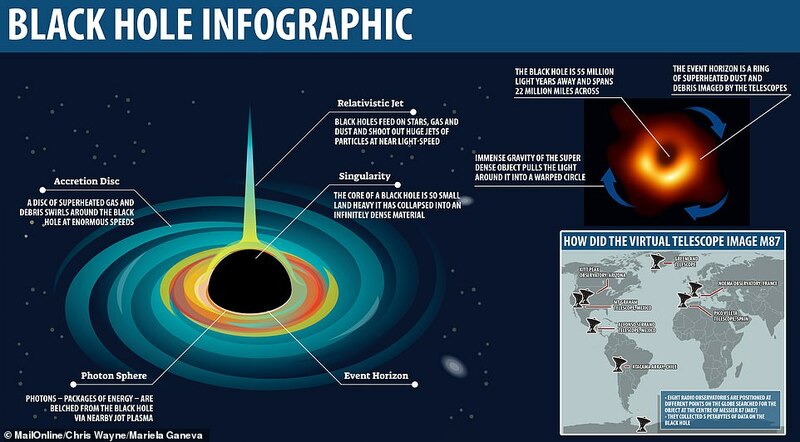 Scientists are beginning to pick apart the data surrounding the supermassive black hole at the center of Messier 87 – an object historically revealed this week as the first black hole ever directly imaged. It sits 55 million light-years from Earth, and is estimated to have a staggering mass of about 6.5 billion times that of the sun. Observations from NASA’s Chandra and NuSTAR satellites now reveal it’s also ejecting high-energy particles at nearly the speed of light, spewing material more than 1,000 light-years out. 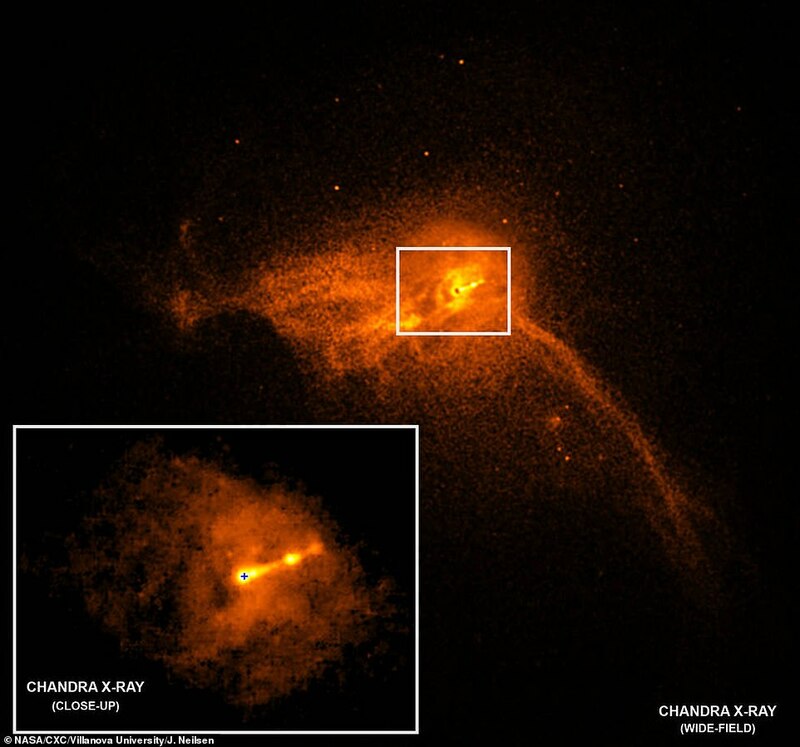 The NASA observations were used to measure the X-ray brightness of M87’s jet, which was then compared with the models and observations from the Event Horizon Telescope. 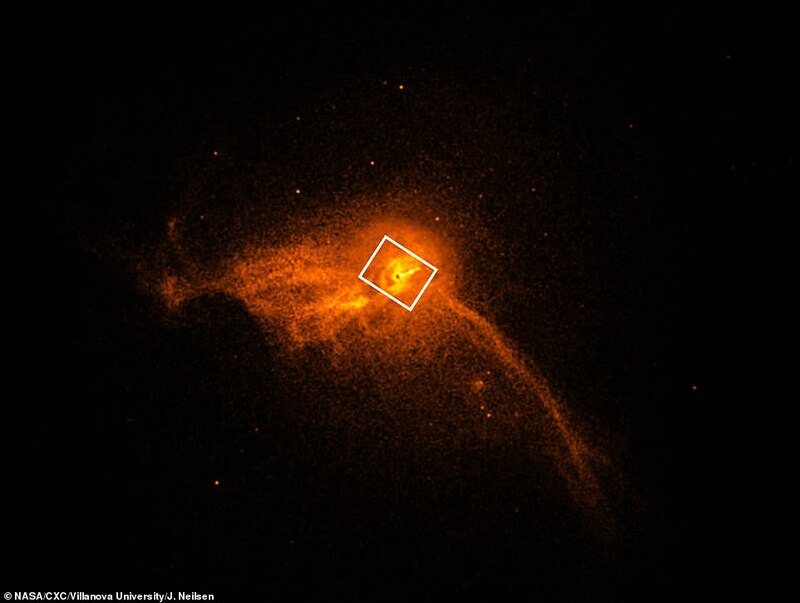 There are many mysteries about the nature of black holes, including why some eject material in these jets, despite being known as inescapable objects. It’s hoped that the latest observation breakthrough will help to answer some of these longstanding questions. ‘X-rays help us connect what’s happening to the particles near the event horizon with what we can measure with our telescopes,’ said Joey Neilsen, an astronomer at Villanova University in Pennsylvania, who led the Chandra and NuSTAR analysis on behalf of the EHT’s Multiwavelength Working Group. ‘Scheduling all of these coordinated observations was a really hard problem for both the EHT and the Chandra and NuSTAR mission planners,’ Neilsen said. 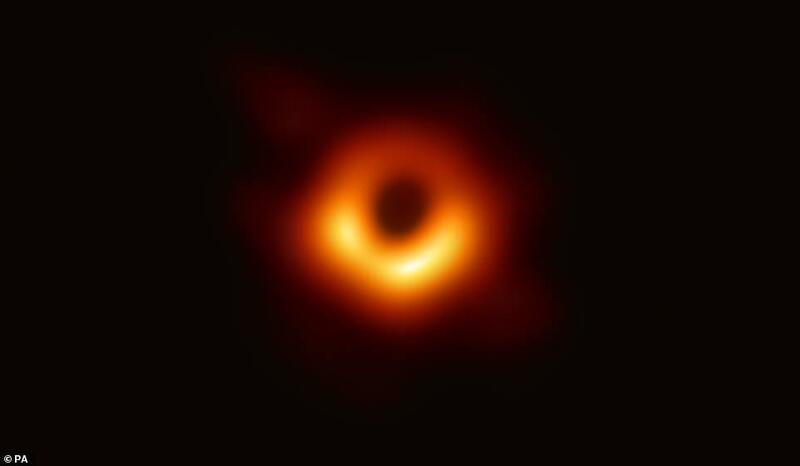 The April 10 event focused on the results from the first full run of the Event Horizon Telescope’s network, which was conducted in 2017.